Even though I started knitting at the age of 8 (and learned to crochet about a year ago) I have never made anything bigger than a scarf. When I found out that my cousin, Janet, was pregnant with a little boy (due in November) I thought it was time I tried my hand at crocheting a baby blanket. 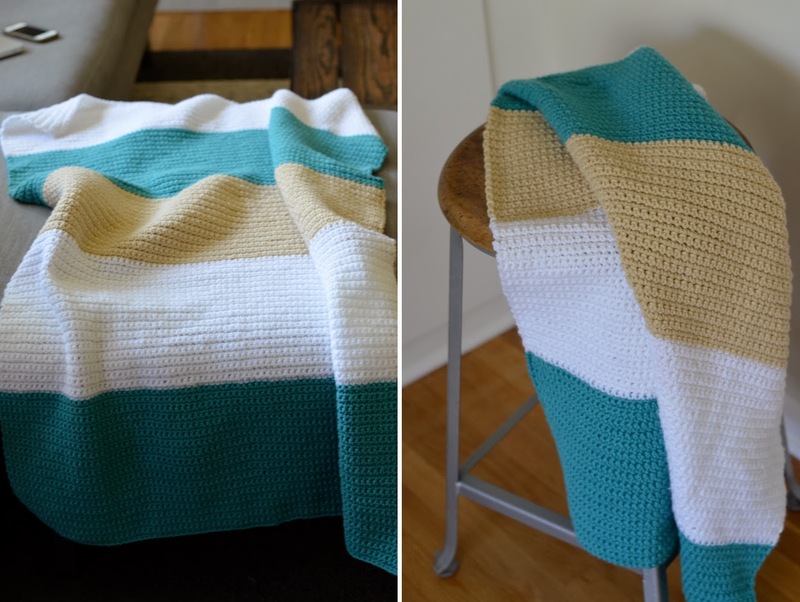 I started by scouring Pinterest for baby blanket ideas and fell in love with many of the styles that involved stripes. I ran to Michael's to pick up some yarn to get started. SC into second chain from hook and into all stitches. Continue SC until your first band of color measures about 12". Switch colors and continue SC until you've used all 5 colors. 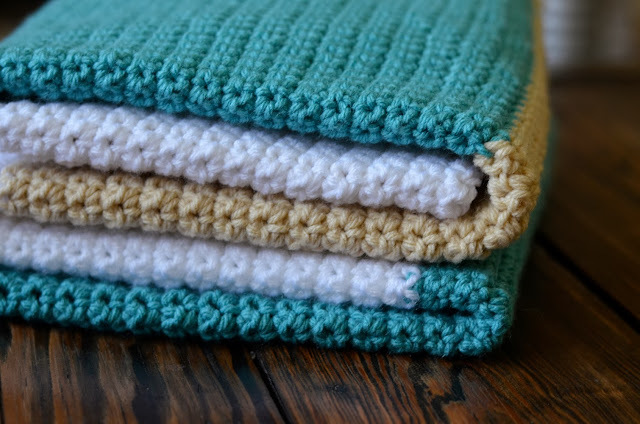 Your finished blanket will measure about 36"x60". Your blanket is very pretty. I like the colors you picked out. OMG what a thoughtful gift. 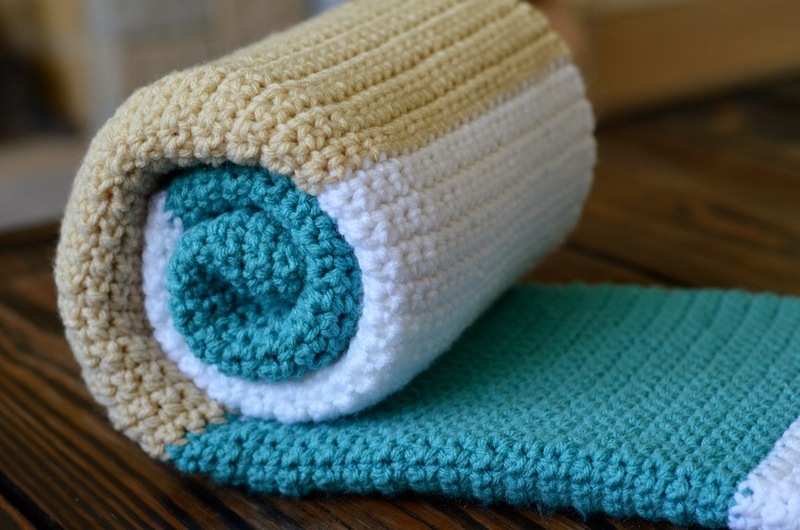 I so wish I could knit!